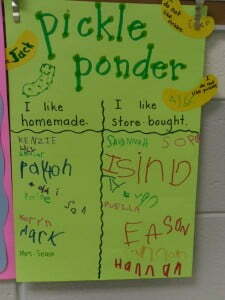 Second graders came together to discuss how pickles are made. The students were fascinated to learn that sour pickles come from cucumbers that can be grown in a garden! Students watched as we mixed spices, herbs, vinegar, and water together in a large bowl. Students got to participate by pouring this mixture into mason jars filled with sliced cucumbers. 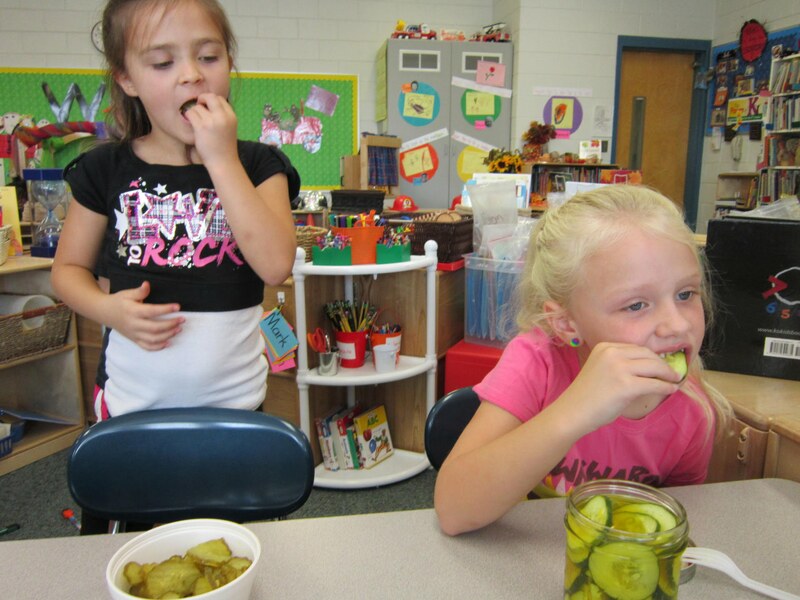 Every couple of days the second graders took turns turning and mixing the jars of “pickling cucumbers.” After 10 days, K-2 students participated in a taste test. They tasted store-bought pickles and the pickles the second graders made at school. After collecting data from all classes, we found that the majority of students preferred the homemade pickles made with local cucumbers!